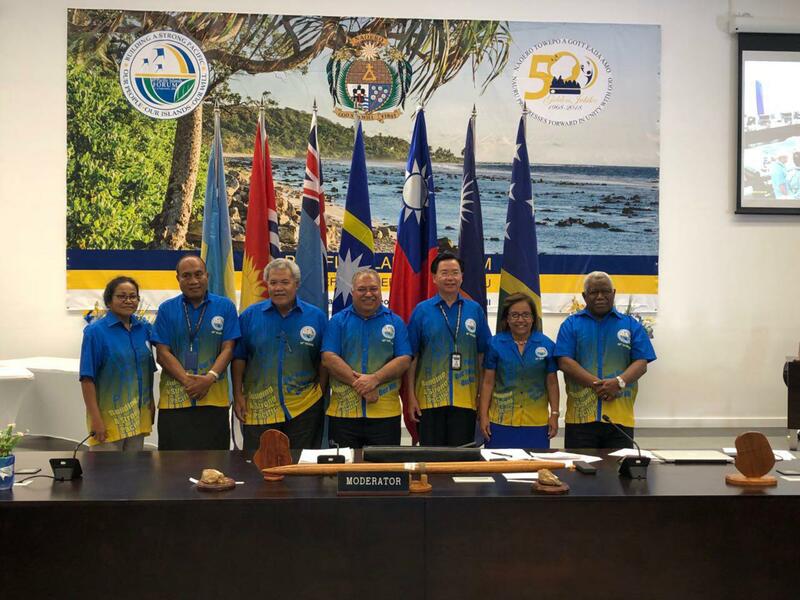 Taiwan is committed to expanding mutually beneficial cooperation with like-minded countries in the Pacific across a broad spectrum of areas, Foreign Minister Jaushieh Joseph Wu said Sept. 6 at the conclusion of the Pacific Islands Forum in ally Nauru. The government’s stance on advancing sustainable national development throughout the region is rock solid, Wu said. Taiwan and its Pacific partners are closely connected and will continue helping and supporting one another, he added. Wu, who made the remarks at the Ministry of Foreign Affairs-staged Taiwan/ROC—PIF Forum Dialogue, said the door is well and truly open to exploring innovative opportunities for expanding substantive collaboration, citing successful joint projects spanning agriculture, education and vocational training. Starting last year, the government increased the number of places available to young people from Pacific allies seeking to study in Taiwan, Wu said. This measure is complemented by a new program offering 520 short-term vocational training opportunities in fields like electrical engineering and information and communication technology, he added. According to Wu, helping build fiscally sound and viable infrastructure is another priority for the government. The US$3.5 billion Official Development Assistance program launched last year will support sustainable projects throughout the region and ensure beneficiaries are not saddled with backbreaking debt, he said. Another initiative of merit is the annual Pacific Islands Leadership Program, Wu said. Organized by the MOFA’s Institute of Diplomacy and International Affairs and Hawaii-based East-West Center, PILP has trained 122 young leaders from 15 countries since its inception in 2013, he added. In terms of health care, Wu highlighted Taiwan’s substantial medical expertise and successful track record in tackling pressing issues in the field around the world. Case in point, he said, is the US$2 million fund announced yesterday aimed at boosting medical cooperation between Taiwan and Pacific countries while significantly enhancing the well-being of the people. Wu is at the head of a delegation in Nauru for the PIF meeting. His seven-day itinerary includes meeting with heads of state and representatives of like-minded countries, as well as visiting Taiwan technical mission cooperative projects.